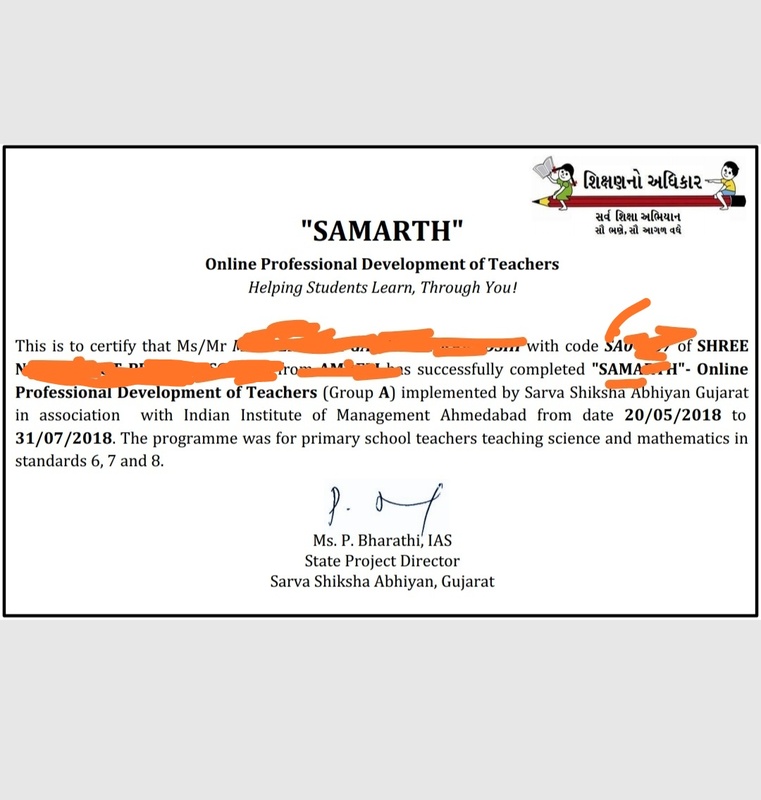 Samarth Online Training For teachers by IIM AHMEDABAD.IIM Ahmedabad has conducted online training for maths science teachers of Gujarat.Teacher has to submit one project regarding his Training.Training was conducted from 20/5/2018 to 31/7/2018.Samarth Talim Was Taken in 2 Phase. children. A good teacher is someone who spent their whole life in giving quality education to their students. They push all the students to do their best. They make learning process very interesting as well as creative. Teachers try their best to bring all the students on the right track by motivation them positively towards study. Good teachers leave good impression over their students.